The word "Chakra" comes from the Sanskrit word “Cakra” meaning wheel or circle, and is sometimes also referring to the “Wheel of Life”. The chakras are described as being aligned in an ascending column from the base of the spine to the top of the head. Each chakra is associated with certain colours, multiple specific functions, an aspect of consciousness, a classical element, and other distinguishing characteristics. Great knowledge about chakras can be found in Shyam Sundar Goswami´s book Layayoga, the definite guide to Chakras and Kundalini. In addition to those within the body there are sources telling that there are five more chakras outside our body. The chakras are are considered loci of life energy, orprana, which flows among them along pathways (meridians) called Nadis. The Nadis are essentially the subtle lines of pranic force motions, and are important. Of all Nadis, fourteen are important, and of these,three are the most important. They are Ida, Pingala and Suchumna. Sushumna is the greatest of these three. It is within the vertebral column and extends from the base of the spine to the head. Inside the Sushumna Nadi lies the Brahma Nadi. 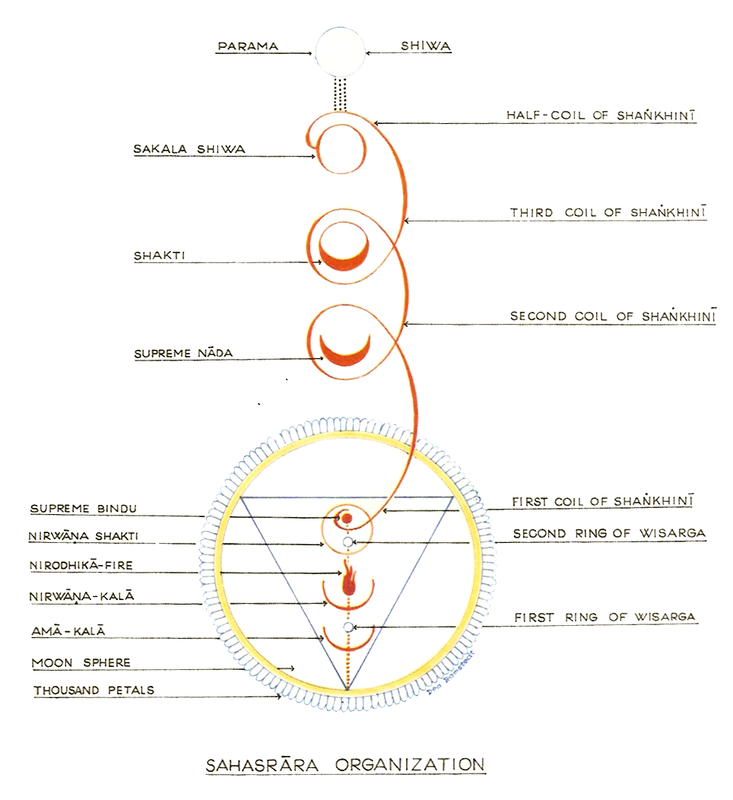 Ida and Pingala are situated on the left and right side respectively. Life force energy is known as “Prana” in Sanskrit, or “Qi” in Chinese-based systems.